Whether you’re actually outdoorsy – and you enjoy hiking, cycling, or camping – or if you’re “outdoorsy” – and a round of golf or a craft cocktail on a patio is more your style – then Kelowna has it all. Kelowna gets approximately 2,000 hours of sunshine every summer, and while it’s long been known as a spot for retirees escaping the hustle of Vancouver, it’s recently become a hotbed for young residents getting away from Vancouver’s sky-high real estate prices. And it’s got some of the best golf in the country. Thanks to the influx of new people in town, its dining culture, improved after-hours vibe, the sports and recreation scenes have changed to cater to younger tastes while still keeping the longtime locals happy as well. 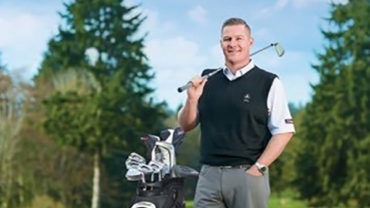 Kelowna’s golf courses allow its visitors to burn off some of its fine dining and award-winning wines, and they’ve been recognized on the international level as some of the best in the world – and ready to host some of the best players in the world, too. Gallagher’s Canyon Golf & Country Club, with 27 holes, will make you feel challenged like some of the world’s best. 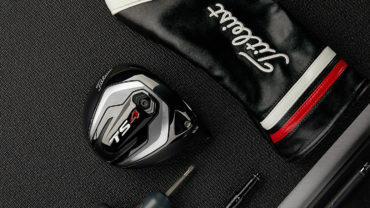 And indeed, the club hosts a Mackenzie Tour – PGA TOUR Canada event each year. It’s wonderfully conditioned and has a great patio overlooking the first tee. The signature hole is that par-4 1st, where even if you don’t think your skills should allow for it, you should try your opening tee-shot from the back tee deck, which is located on top of the pro shop. Mountainous views greet you on nearly every hole as the club meanders through mature trees. It’s difficult but fun, and its stretch of hole No’s 11-13 are up against any other three-hole stretch in Canada as some of the finest. They slowly climb through stately pines with a view of Kelowna down below. With 19 courses as one of the country’s longest and driest golf seasons, Kelowna and the surrounding area’s golf menu is nearly as robust as some of its downtown dining options (more on that later). 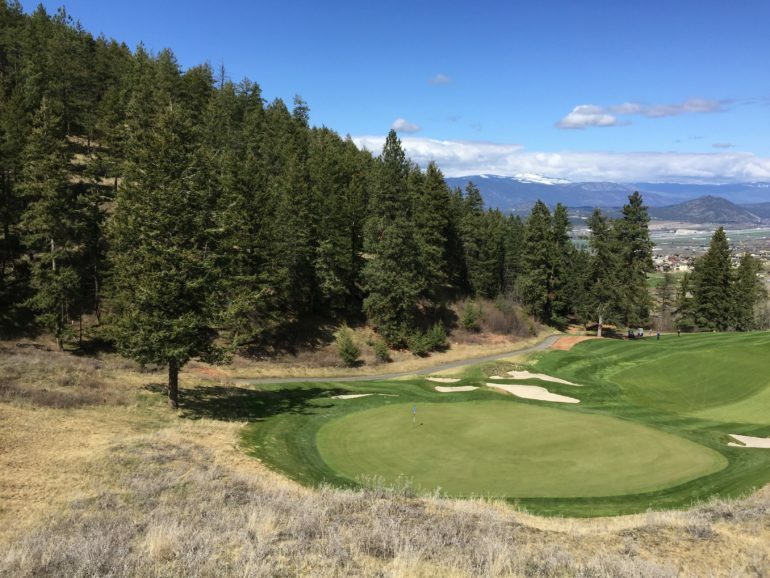 You can stay local and head to Harvest Golf Club, which plays through a hillside apple orchard, or drive a littler further (and it’s certainly worth it) out of town to go to Predator Ridge in Vernon – long believed to be one of the country’s finest resorts. 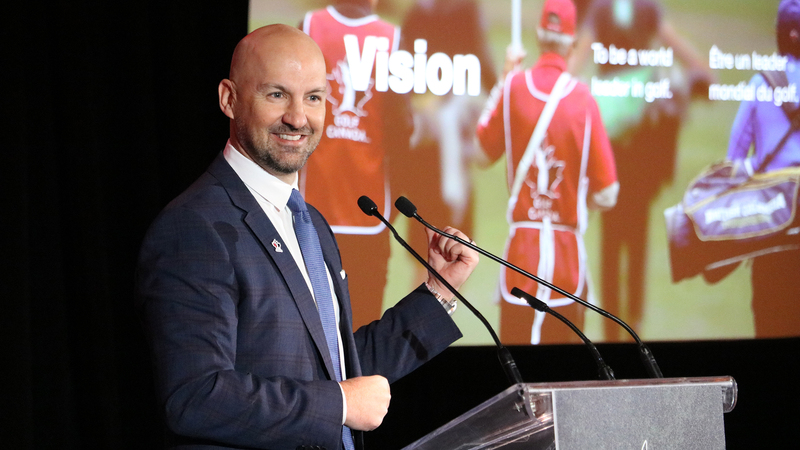 Golf in British Columbia is some of the most celebrated in Canada, and it’s no surprise Golf Canada chose the province for its official training centre. Bear Mountain Resort, in Victoria, is just a quick flight away (or about a six-and-a-half hour drive) if you’re planning a B.C.-based golf adventure. It was early spring when I visited, and thankfully when you need to refuel from long days of golf, the dining options in town are plentiful. BNA Brewing Co. & Eatery, a craft brewery and restaurant just a few blocks from Kelowna bustling downtown core has been a very successful addition to Kelowna focusing on international plates, but with local ingredients. It’s a local success story, and whether it’s restaurants, craft breweries or cideries, or golf courses (and of course, Kelowna’s iconic wineries) staying local has been the key to a thriving Kelowna. A weekend away with the guys or gals for golf would be as fine a reason as any to head to Kelowna, but the town offers so much for couples of all ages as well – especially given its world-renowned wine country. Going to Kelowna without visiting their iconic, award-winning wineries would be like heading to New York for the first time and not visiting Times Square. Kelowna has a laundry list of excellent wineries for visitors to check out, and you’d be remiss not to head to Mission Hill – one of the first wineries in the region – but the micro-wineries popping up with abundance are definitely worth checking out. The Hatch – just down the road from Mission Hill – had a tasting room, even on a chilly April day, which was buzzing. The quaint and rustic setting is a total 180-degree turn from the grandiose setting of Mission Hill, but the people (Grayson, the General Manager, used to work at Mike Weir’s winery in Niagara) are equal parts fun and knowledgeable about their product. With direct flights from Toronto and other major Canadian cities every day, Kelowna is a breeze to get to. Even in the shoulder seasons when you’re itching for a round but aren’t quite keen to head south, Kelowna’s golf courses are likely open already. 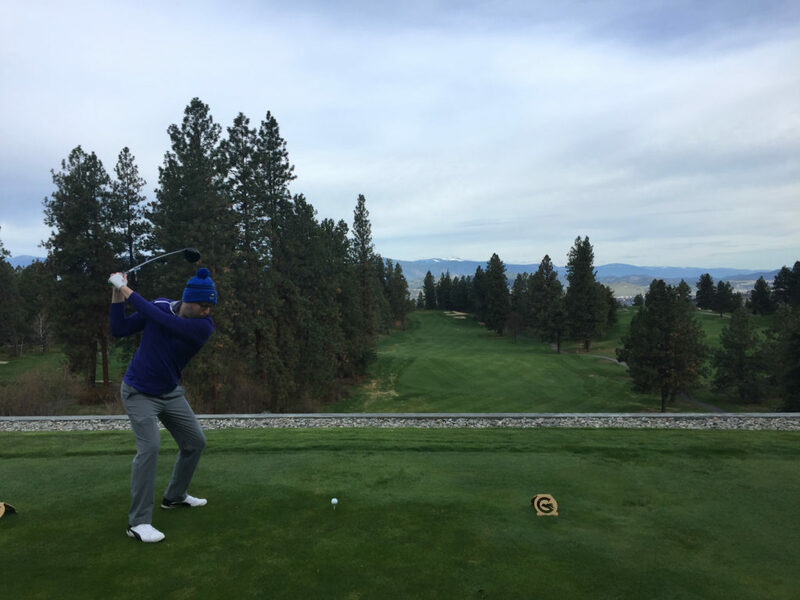 Staying at the Delta Grand Okanagan Resort (a solid hotel right on the lake with a restaurant renovated in 2016 that backs onto a patio overlooking Okanagan Lake) means you’re walking distance to everything in the core, and a mere 20-minute drive to most of the courses mentioned here. Between the golf and the food and the wine and the beer, you’ll be full of Kelowna after just a short visit. But, you’ll be hungry for a return before you know it.